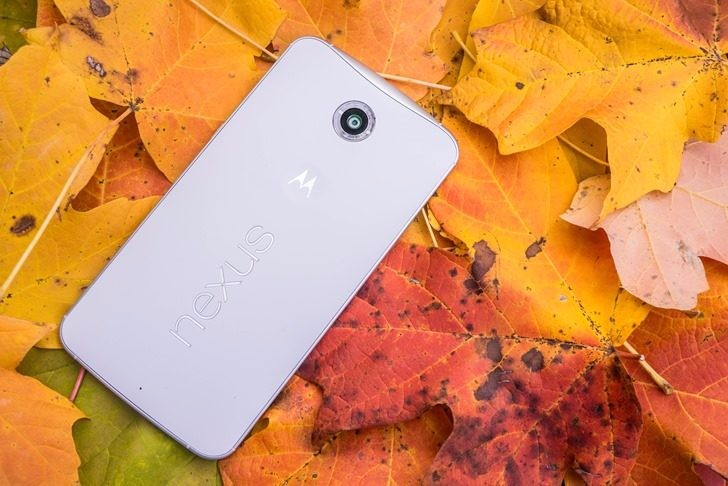 The Nexus 6 was the launch device for Android 5.0 Lollipop back in 2014, and it's been getting updates ever since. The problem, however, is not all those updates have been good. 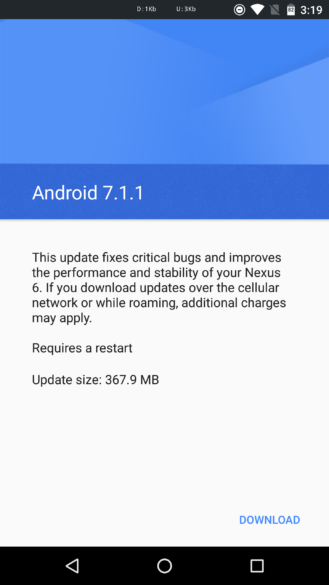 After deploying some bugged OTA updates earlier this year, Google is finally sending out Android 7.1.1 to the Nexus 6. This is not actually the first time the Nexus 6 has seen a 7.1.1 update. After a long wait for both 7.0 and 7.1.1, Nexus 6 owners were greeted with a number of bugs so severe that Google called for a do-over on the update. 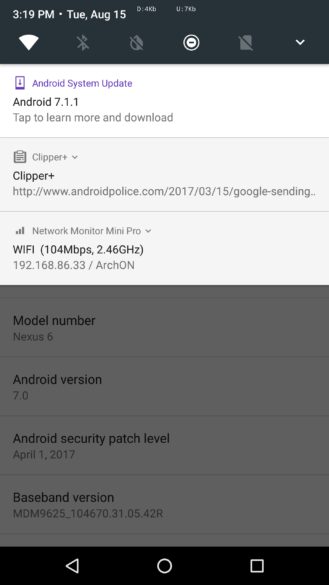 It pushed 7.0 to the Nexus 6 (which broke things for anyone on 7.1.1) and started working on a new 7.1.1 update. At long last, that update is rolling out. However, you need to be on the most recent official 7.0 build. 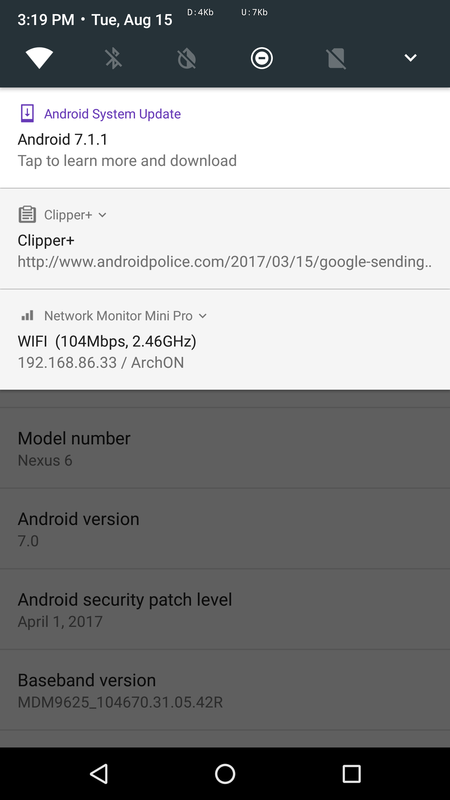 Anyone who toughed it out on the old 7.1.1 will need to flash back to the main update track. Keep in mind; this phone is reaching the end of its supported life on Google's end—it's unlikely to see Android O at all. It might be more worth your time to move to Lineage OS.